Before you begin the arduous task of land clearing, the first step you’ll want to take is to survey the land. This step matches your construction blue print with the overall landscape to determine just what trees, shrubs and rocks need to go. Depending on the area you choose for your homestead, you may need to apply for building and zoning permits, so it’s worth waiting for approval before you begin clearing anything off your land. From clearing large rocks to digging out overgrown tree roots, clearing your land quite literally means clearing it from all major obstacles. While pricing is entirely dependent on the job, the average cost for land clearing ranges between $1,000 – $5,000. The national average sits around $2,500. Understanding the typical price for services will help you navigate the next step. Land grading per acre- $.47 – $2.28 per sq. ft. NOTE: Most companies will included labor and equipment costs in the price of the bid as a package deal. Land clearing may have been done by the homeowner back in the day, but today there are experienced professionals to do the dirty work. Depending on the condition of the land and what needs to be done, large excavators may be needed to get the job done. NOTE: A quote is only credible after the contractor has visited the site in person. Hire a Land Clearing Contractor. Hire a land clearing professional during the off season (fall and winter) for lower costs. Purchase a property with minimal clearing needs. Purchase a property with a septic and well already installed. Re-use old materials like selling the trees you cut down for timber or firewood. Research whether your land clearing is tax deductible. Rent the heavy equipment and do it yourself (useful if you only have one or two trees to clear). So there you have it. 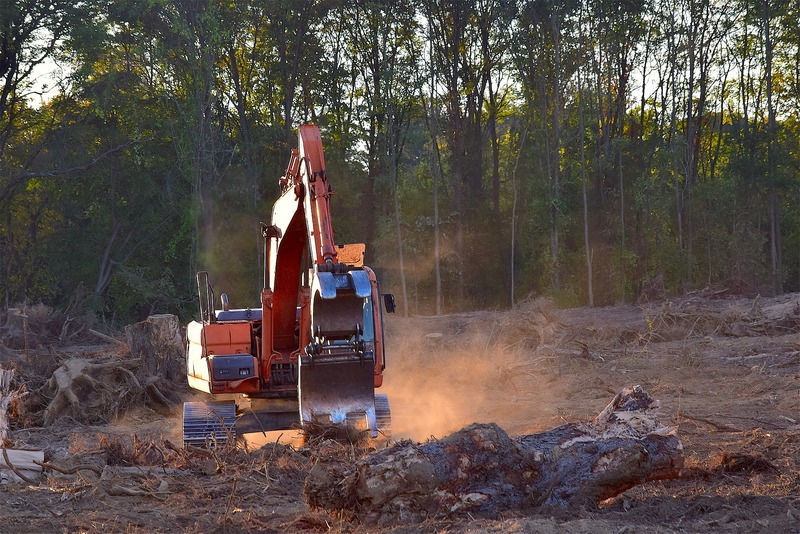 LandCentral’s Land Clearing Basics: Getting Your Land Ready to Build. These basics will help you on your way to a clear land ready for your dream home. Speaking of cleared land, check out these amazing properties, most of them cleared and ready to build. You’re welcome.